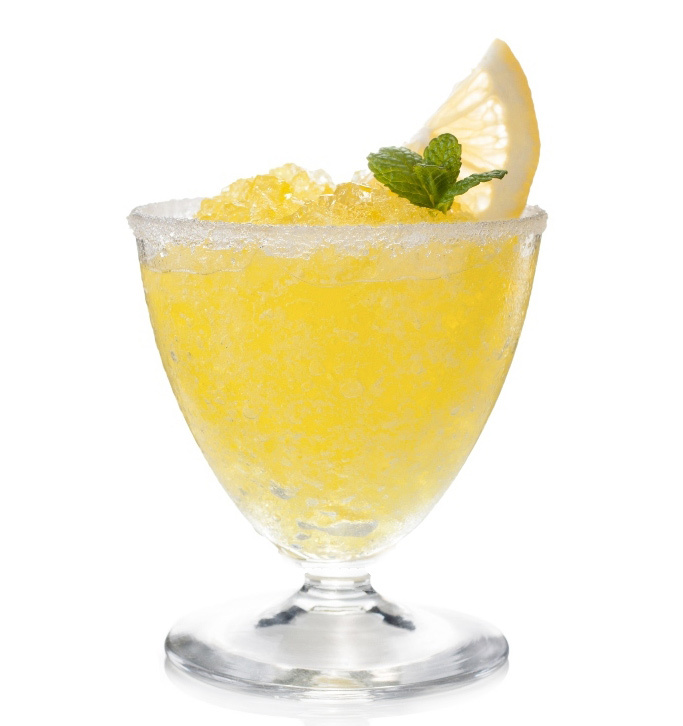 When hot summer hits, there’s nothing better than a refreshing and delicious Lemon Ice. Making Lemon Ice at home is super easy. Peel zest from lemon with a vegetable peeler. Squeeze lemon; strain and reserve its juice. Cut zest in ½ inch pieces. Process zest and sugar until zest is finely chopped. Place in a 3-quart pan with water and salt. Heat just until sugar dissolves before letting cool. Add lemon juice to reserved juice until you have ⅔ cup. Stir juice into mixture. Freeze mixture into ice cube trays. Before serving, place in a food processor 4 to 6 cubes at a time. Process until it turns into a slush. Serve in small bowls or stemmed glasses, garnish with a mint leaf or lemon slice and enjoy.